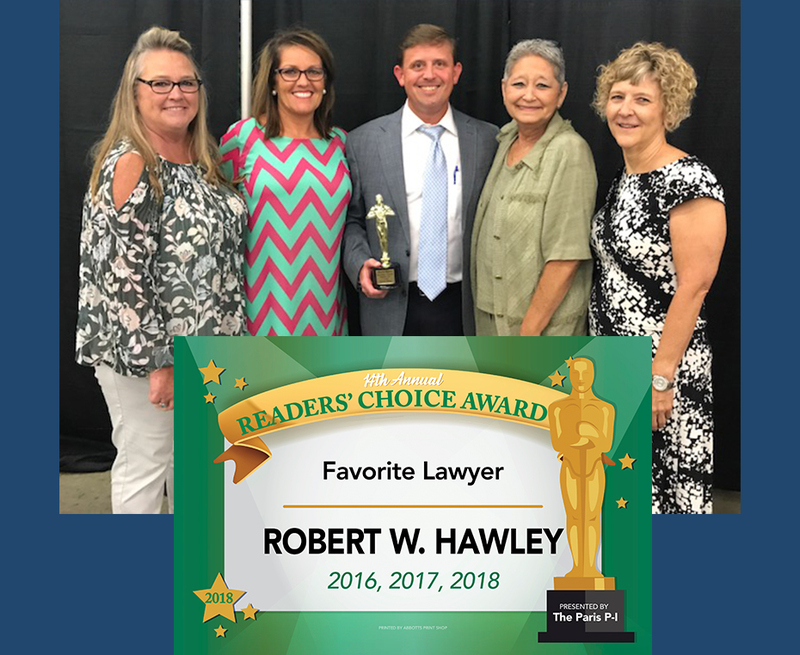 Congratulations to Robert W. Hawley and thanks to all of those who voted him Favorite Attorney for the 12th, 13th and 14th Annual Readers’ Choice Awards. 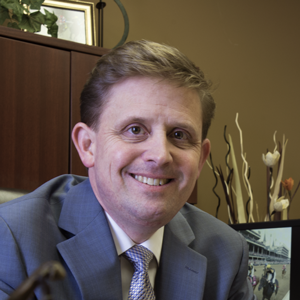 Built on a foundation of honesty and integrity. 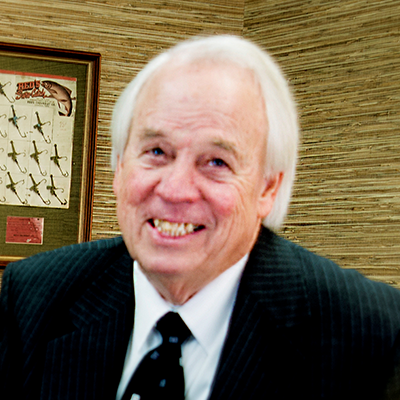 The Law Offices of Hawley & McCadams, PLLC have been a pillar of the Northwest TN business community since 1971. 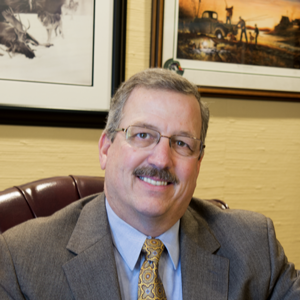 Our attorneys provide experienced representation to individuals, families, and businesses from offices located in downtown Paris. 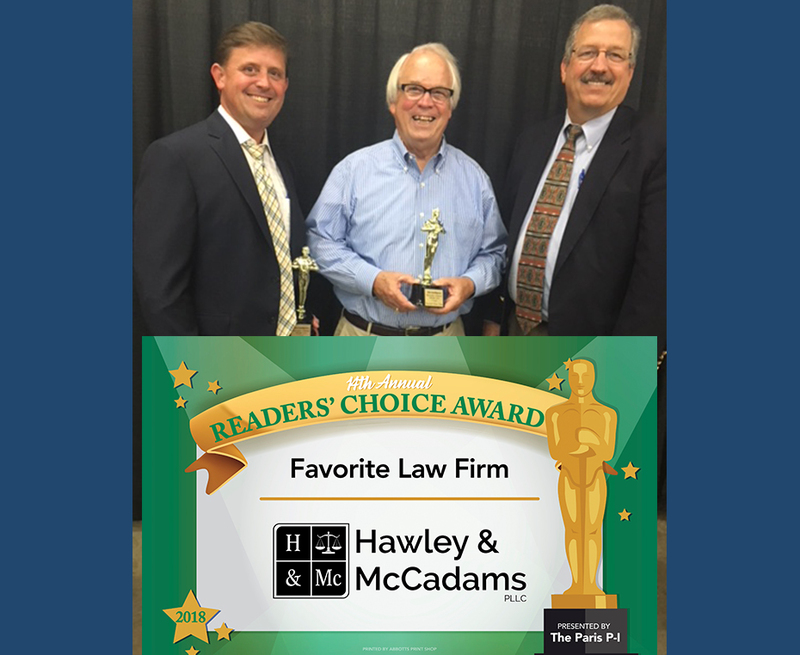 Hawley & McCadams would like to thank all of their supporters that voted them Favorite Law Firm in the 14th Annual Readers’ Choice Award. 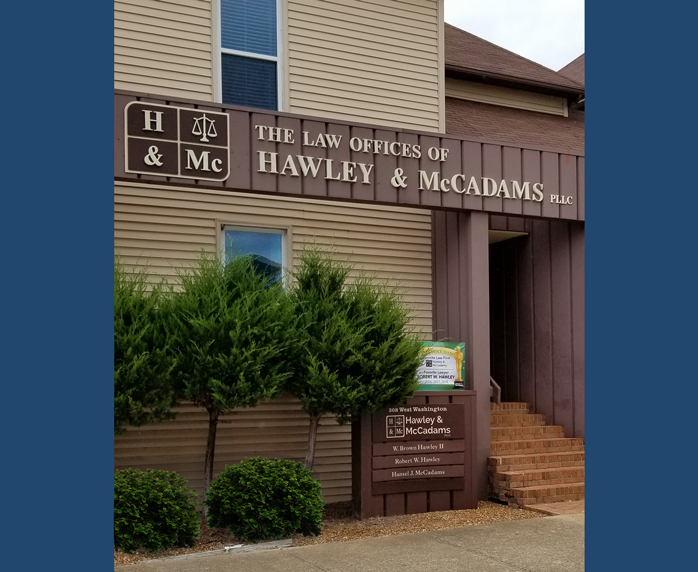 The Law Offices of Hawley & McCadams has a wealth of experience representing clients in a broad array of practice areas.